Mutawa AlKazi Co, the sole authorized dealer of GAC Motor vehicles in Kuwait, won the “Best Offer” award from the 2019 edition of Kuwait Motor Show. Mutawa AlKazi `s unsurpassed “Grap the Chance to Win Twice” offer enables customers to win a 2019 model GS8 plus 40 valuable prizes such as new IPhone devices, comprehensive insurance and free maintenance up to 5 years. In a press release, Mutawa AlKazi said that the recent campaign reflected the company`s keenness to reward and give the customers the chance to own the best-ever- featured GAC cars. This award recognizes the company leadership and excellence in providing added value and unprecedented ownership experience to its customers in Kuwait. Mutawa Alkazi noted that the coming draw of “ Grap the Chance to Win Twice” campaign will be held on Wednesday at 6 p.m, announcing the winner of the grand prize and the winners of the other 40 valuable prizes in the presence of a representative of the Ministry of Commerce and Industry. 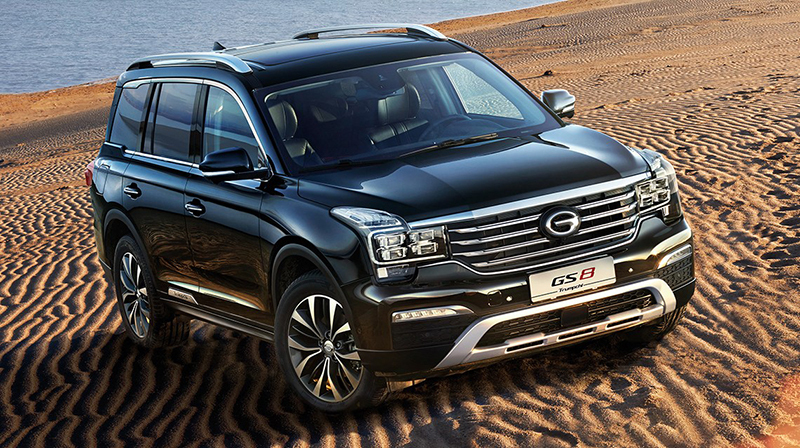 Seeking to satisfy all customers, the company confirmed that it is committed to its promotions and campaigns that provide an exceptional driving experience of the reliable GAC vehicles and ensure peace of mind. The offers include an exclusive package of 11 year warranty, 3-year maintenance, 3rd party insurance and window tinting. In cooperation with banks and finance companies, Mutawa AlKazi also offers financing facilities, in addition to competitive price for used cars. As a high- quality built and equipped vehicles by a world- class team, GAC cars won J.D Power Quality award for the 6th consecutive year. The Chinese brand is subjected to a range of tests in a variety of climatic and geographic conditions, in order to ensure their readiness and suitability for the Gulf markets. With its skilled technicians and professionals team, the company stressed its keenness to provide high-quality maintenance services in a record time as well as spare parts for all models at the best prices.